Great price! Very clean leather interior. Third Row Seating. Push to start. Power windows and door locks. Alarm/Keyless entry. Tilt heated steering with mounted stereo and cruise controls. Front and side impact airbags. Navigation. CD changer. Satellite radio. Microsoft SYNC. Touch Screen. Back Up Camera. Bluetooth Hands-Free Phone system. Homelink Universal Transceiver. Illuminated keypad. Power Sunroof with Skylight. Traction control. Tilt steering with mounted stereo and cruise controls. Dual climate control. Front heated and air conditioned seats. Compass and temperature display. Rear spoiler. Alloys. Great tread. Dual exhaust. Fog lamps. Luggage rack. Rear parking assist sensors. Tow Hitch. Call now. For more information or to schedule an appointment please contact William 1-773-436-2600. Para mayor información favor de llamar a William 1-773-436-2600. We understand the changing market place and aim to make your buying experience as "Hassle Free" as possible. We "Buy Right" and "Price below the Market." Given a vehicle's miles, options, overall condition, and pedigree...our vehicles always reflect a "Real Value." All prices exclude tax, title, license and $161 doc fee. Extended warranty plans available. Visit Legend Auto Group online at legendautogroupinc.com to see more pictures of this vehicle or call us at 1-877-746-2879 today to schedule your test drive. 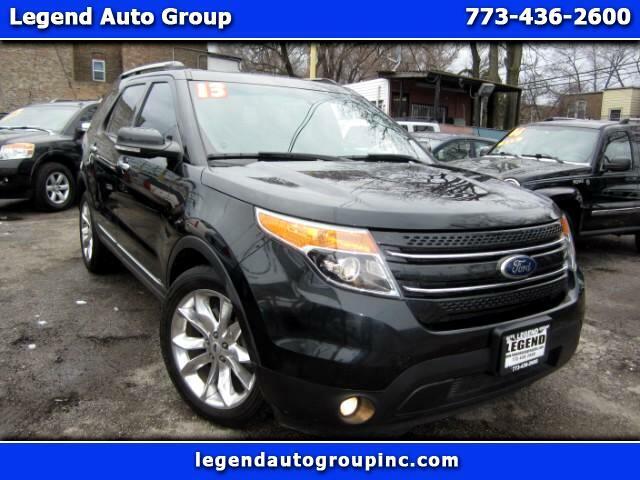 Visit Legend Auto Group online at legendautogroupinc.com to see more pictures of this vehicle or call us at 1-773-436-2600. Call today to schedule your test drive.